The rapper talked to Genius about the inspiration for ‘ay Z's 48-bar verse. Yesterday, G.O.O.D. 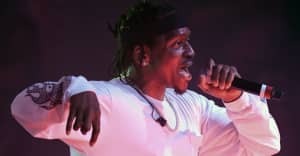 Music president Pusha T dropped off "Drug Dealers Anonymous", the first single form his upcoming King Push album. The song features a lengthy Jay Z verse, in which he responds to a news anchor who talked down on him and his wife and makes a drug dealing pun about the viral "Damn Daniel" meme. As one might expect, the internet went nuts. Pusha said that he emailed Jay the song with an open verse, to which Hov responded, ""Oh this is going to be bad. Oh this is going to be real, real bad. I’ll just blame it all on you."